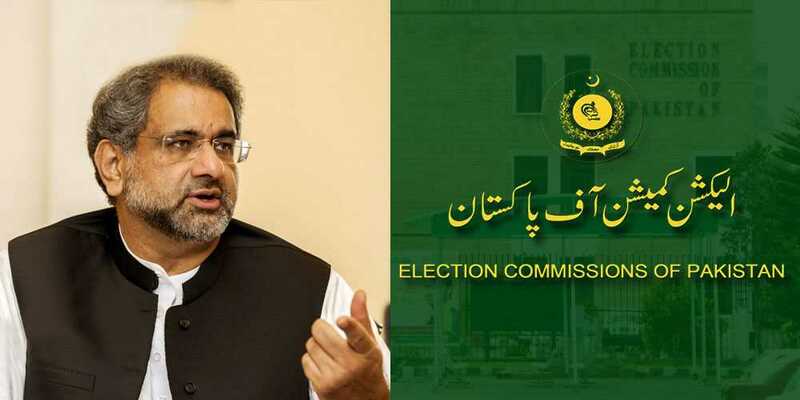 The Election Commission of Pakistan has dismissed the statement of Prime Minister Shahid Khaqan Abbasi, saying that it is against the constitution. The spokesperson Election Commission (ECP) has said that the people holding key posts should refrain from giving such statements. Such statements by the Prime Minister Shahid Khaqan Abbasi are synonymous to mocking the Constitution as well as the mandate of the Election Commission. It should be noted that yesterday the National Assembly Speaker Ayaz Sadiq spoke to media in an informal speech saying that Prime Minister said that the elections will be held upon the will of the ‘Unknown force’. Regarding the caretaker government, Prime Minister Shahid Khaqan Abbasi said that we will accept any name after mutual consensus.